www.showroom4cars.com is currently offering a saving of £1,301 on the Renault Clio 1.2 16v Expression, bringing the purchase price down to just £6,999 on the road. These pre-registered cars are available for immediate delivery, with a full 3 year Renault UK warranty (from date of registration) in a choice of colours. All www.showroom4cars.com prices are On The Road, and include 12 months VED and first registration fee. 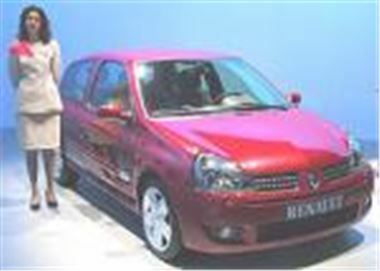 More information from www.showroom4cars.com, or by calling the sales hotline on 0870 753 4444.